According to the Adventures in Training with a Purpose website, ATP is a charity that is focused to help individuals who suffer from debilitating conditions such as ALS, paralysis or Muscular Dystrophy or who otherwise are unable to make any progress because their support has been cut. Tickets are $125.00 which can be purchased form the ATP website. For more information, please visit the website or call 724-813-4110. 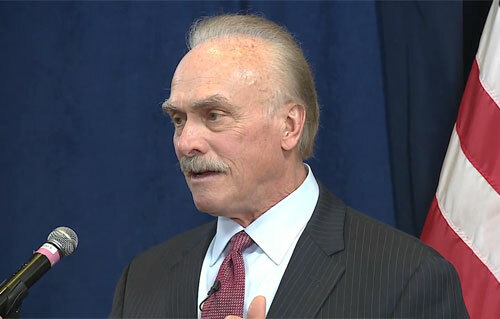 Rocky Bleier is a former halfback who played for the Pittsburgh Steelers in 1968 and from 1971 to 1980. Even though he was wounded in the Vietnam War, he was still able to return to playing football. After his 1968 rookie season with the Pittsburgh Steelers, Bleier was drafted into the U.S. Army in December 1968. He volunteered for duty in the Vietnam War and shipped out in May 1969, serving with the 196th Light Infantry Brigade. On August 20, while on patrol in Heip Duc, Bleier was wounded in the left thigh by a rifle bullet when his platoon was ambushed in a rice paddy. While down, an enemy grenade landed nearby after bouncing off a fellow soldier, sending shrapnel into his lower right leg. He was later awarded the Purple Heart and the Bronze Star. At the time of his retirement he was the Steelers fourth all-time leading rusher. Sports Speakers 360 is a booking agent for pro athletes. If you would like to book Rocky Bleier for a speaking engagement, appearance or endorsement, contact a Rocky Bleier booking agent for fees at 1.855.303.5450.